Flintshire Scout groups look set to avoid having to pay business rates after councillors backed a move to reverse a controversial decision which saw discretionary rate relief withdrawn for charities. 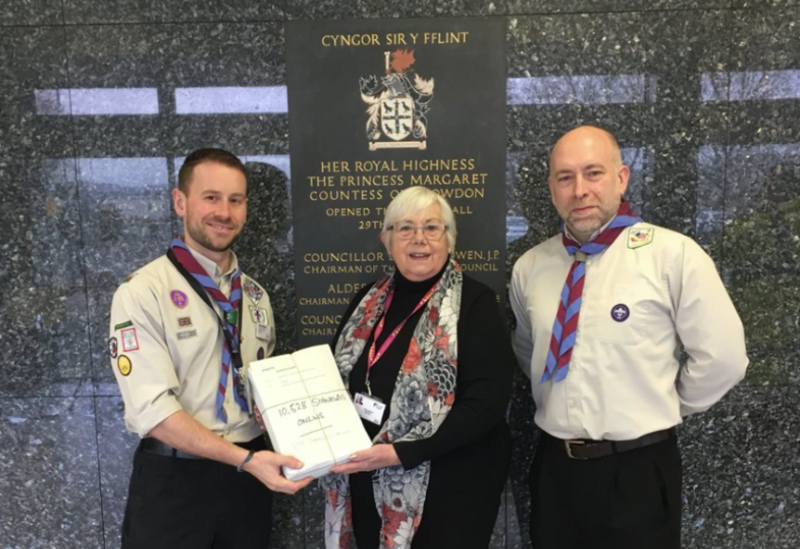 The Scout groups automatically qualify for 80% mandatory rates relief due to their charitable status, they had received a further 20% discretionary rate relief from Flintshire County Council. The council decided to withdraw the discretionary relief from 2017 onwards in a bid to save money in the face of unprecedented budget pressures. Flintshire district is made up of 16 Scout groups which over 900 youngsters from the county regularly attend, each group either owns or rents a building, they were facing bills of between £300-£570 each in annual rates. 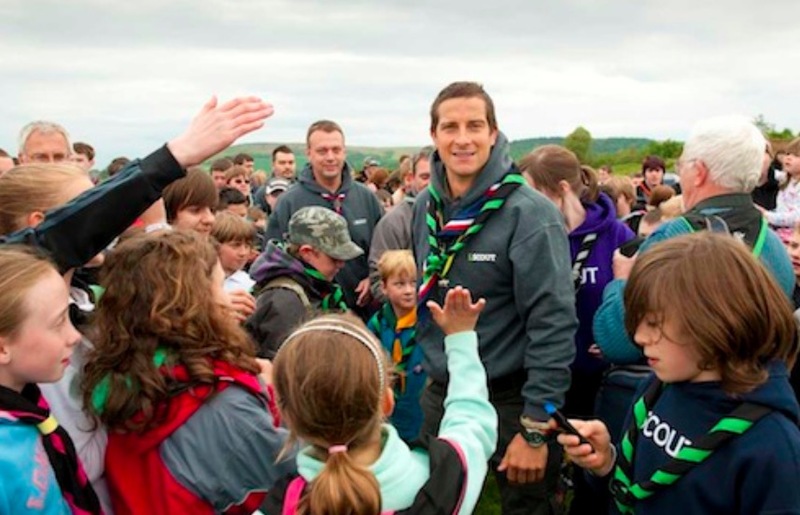 A Flintshire Scouts petition backed by Chief Scout Bear Grylls called for the decision to charge local groups business rates to be reversed, signed by over 10,500 people it was handed over to the council on Tuesday and was the largest ever received by the local authority. A motion tabled by Cllr Hilary McGuill at Tuesday’s full council meeting and supported by all councillors proposed that any charity organisation with a rateable value of up to £6000 will now attract 100% rates relief. “The council is also seeking the opportunities and methods of a grant in aid to all groups that would now be exempt that has paid in years 2017/18 – a payment back of those costs already accrued this year in 2017. Flintshire County Council are also writing to the Welsh Assembly in Cardiff to seek a permanent change in law to protect all charitable groups across Wales by enshrining this is legislation. This will set a precedent for other councils in England and Wales which we hope that will be followed. “I can see how the council’s finances are really under pressure but that should never be taken out on charities particularly ones like the scouts. All the councillors could see this but they couldn’t treat scouts as a special case. To run a campaign with fellow scouter Dan Reynolds that has achieved what it has for all Charities today was amazing. I am hopeful that other councils will take heart from this and see Flintshire as an example of how it should be.